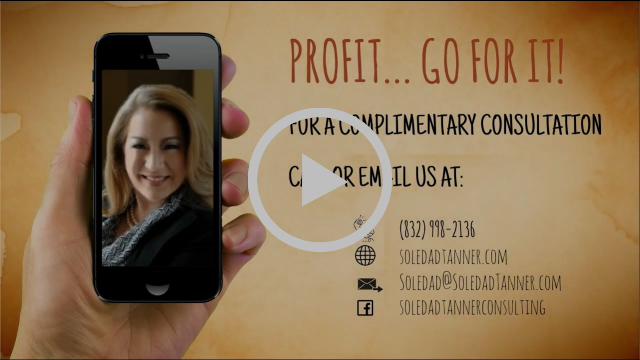 I am excited to introduce you Soledad Tanner Consulting (STC), a company that helps improve the profit and productivity of your business. You can achieve that TODAY ! We will support business owners, executives and medical professionals with solutions to your challenges so you can pursue your company vision.